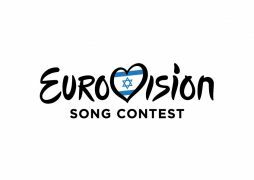 Hello welcome to my series of quick takes designed to get you ready for Eurovision 2019. Just some quick thoughts / my take on each of the 41 songs this year. The countries are in alphabetical order so without further ado: Greece. Trying to divorce this song from the art house movie of a video is really difficult but I found a lot to love in this piece as a whole so I’m not even going to worry about it. I think it’s hard not to point out how deep and silky her voice is and that is always going to appeal to me and be a turn off for plenty of people. I hope that that staging can preserve some of the strange and mysterious feelings that the video has because that’ll help it stick in peoples mind and also give it a really cool flare. While the song seems to be about deepening a relationship it can also be read as “marriage / love / relationship equality” which is nice but doesn’t always play well at Eurovision. I think the vocals and the absolute stunning composition will easily help this modern ballad stand out. I can’t quite think of the artist it reminds me of but maybe a little Sia mixed with Florence and the Machine. An easy going vibe that feels like it is deeper than it is. Not bad Greece. Hello welcome to my series of quick takes designed to get you ready for Eurovision 2019. Just some quick thoughts / my take on each of the 41 songs this year. The countries are in alphabetical order so without further ado: Germany. I think Germany needs to change their selection process because this wasn’t anyone’s favorite song, and it was actually 5th or 6th with the audience and yet still won? There’s a lot about this song that just does not work for me. The staging, which I assume they’ll likely keep at Eurovision, is boring so I hope they’ll consider something else. The outfits give me little information and are of no interest. The topic of the song was never going to be a hit with me. The two women singing are…something. Their voices never really blend, they spend a lot of time singing past each other and really screeching out most of their notes with some shaky trilling and that doesn’t work for me. The song plods along without much resolution or build. I think at the end of the day they might have been trying for an empowerment vibe (a la Toy) and missed the mark by a mile because it just doesn’t read that way. I don’t know if this can be changed in any meaningful way to work but since Germany auto qualifies and they had a good placing last year I’m not sure they really care if this probably ends up in last place.